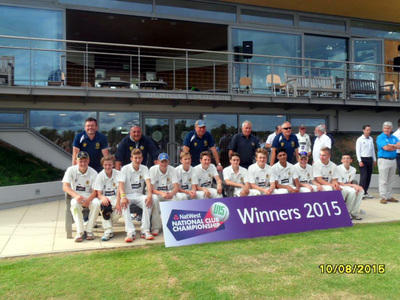 Top Row L-R Ian Green, Gordon Lewis, Jack Lewis, Adam Finch, Arjun Uppal, Christian Fellows, Tom Rhodes, Jordan Whitehouse, Tony Lea, Matt Dunn. 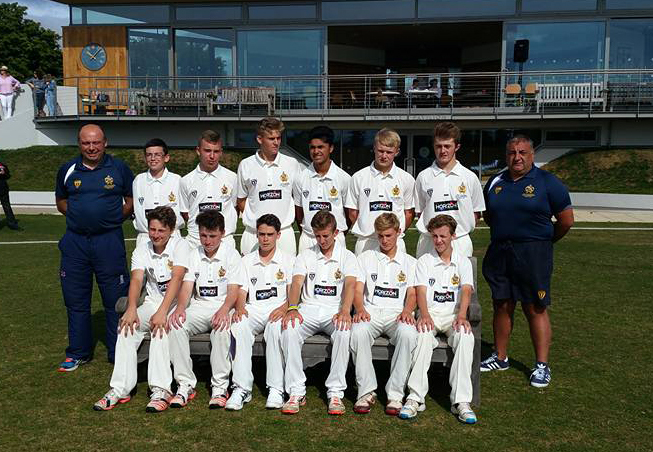 Bottom Row L-R Sam Cookson, Joe Dunn, Kris Green, Chad Brandrick (Captain), Callum Lea, Dan Newman, Carl Brandrick. 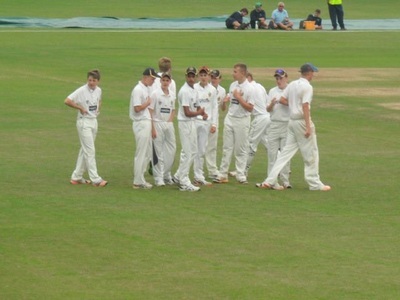 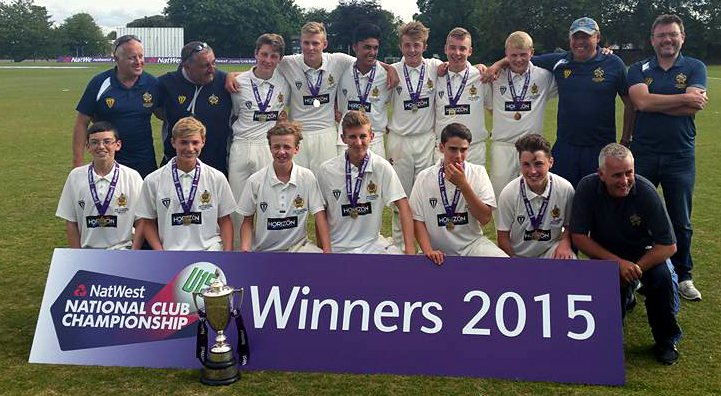 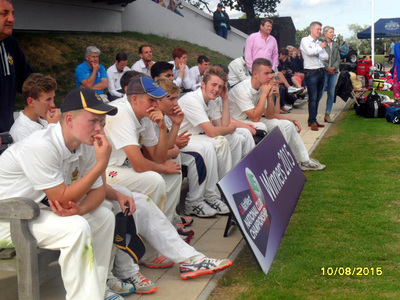 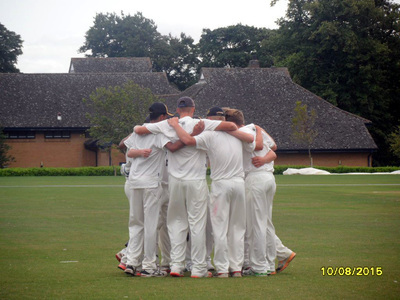 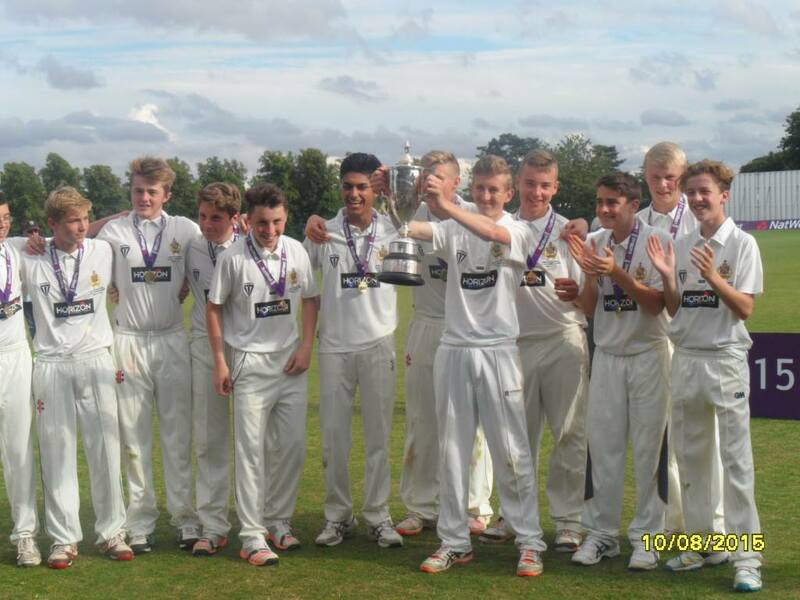 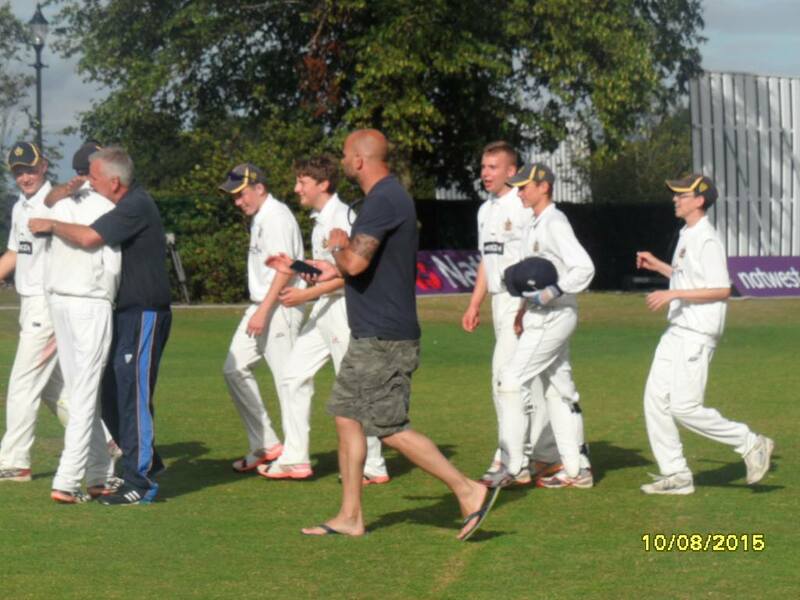 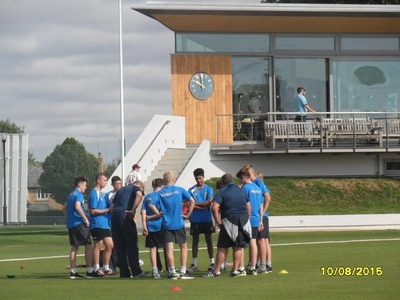 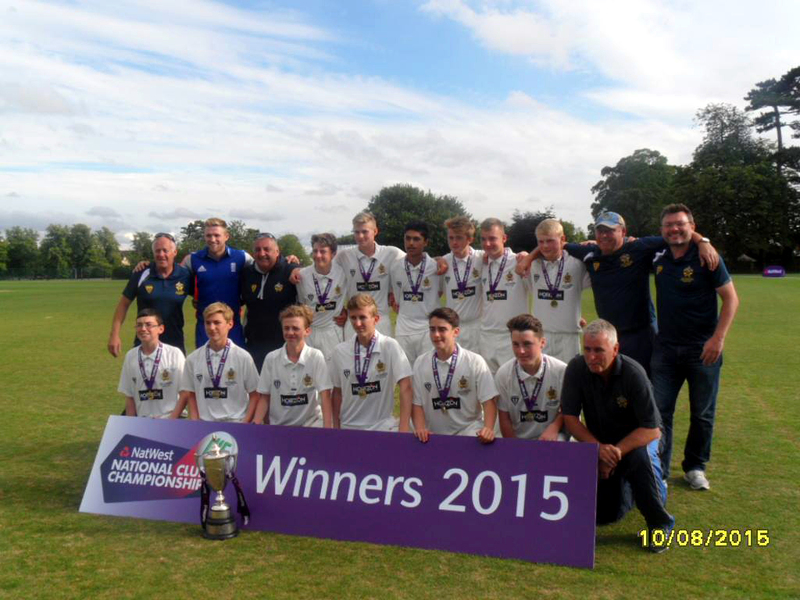 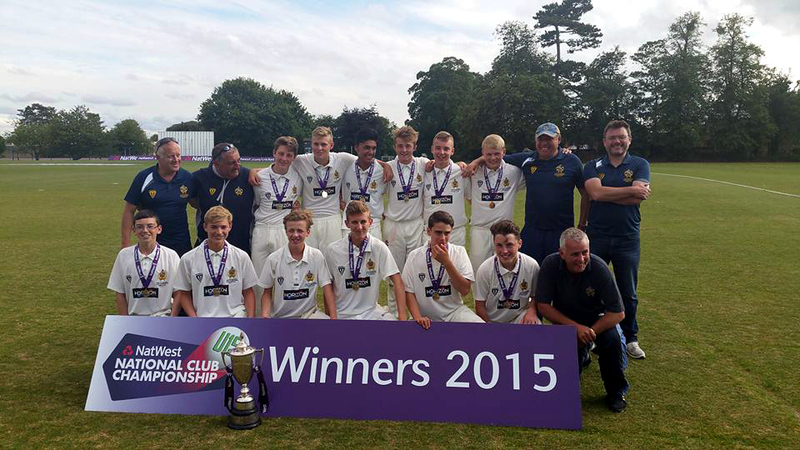 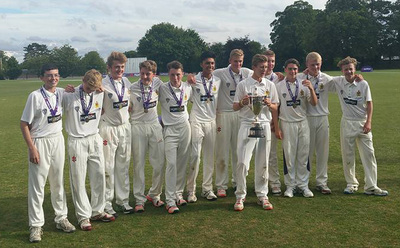 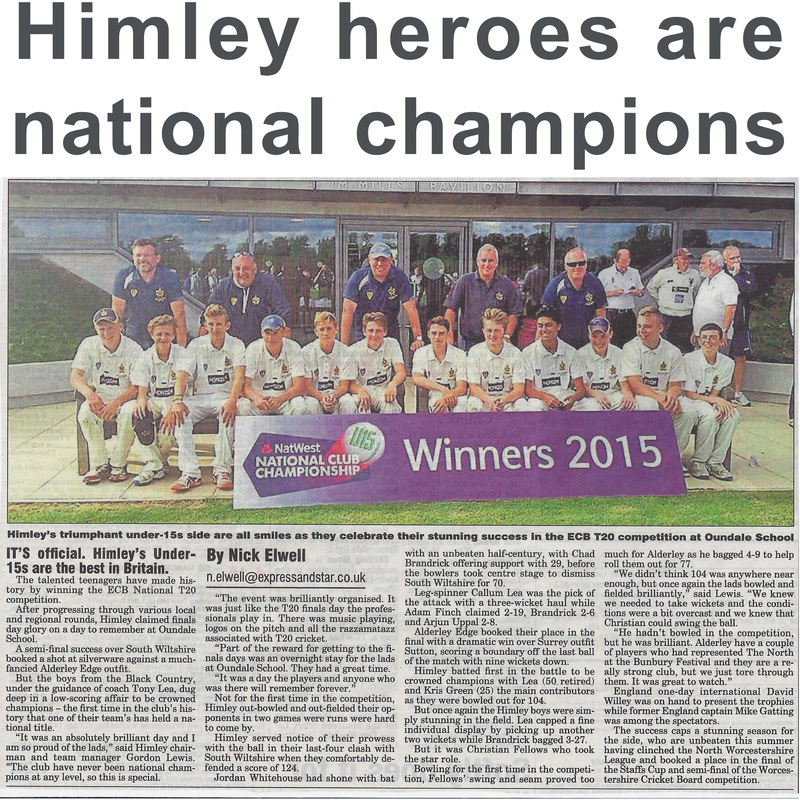 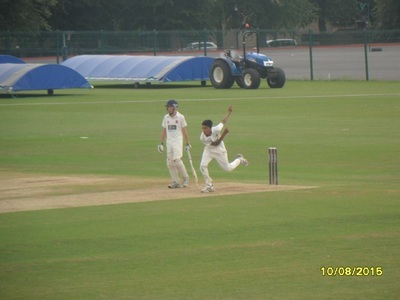 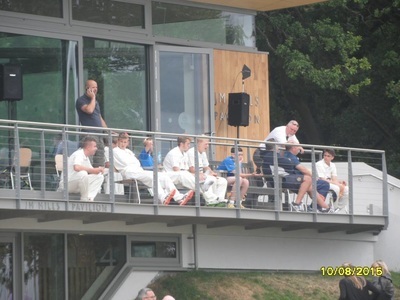 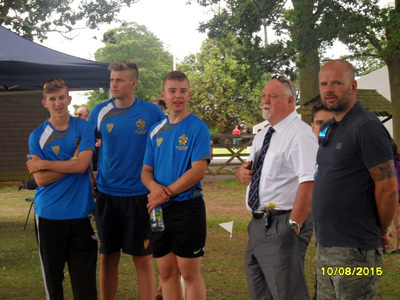 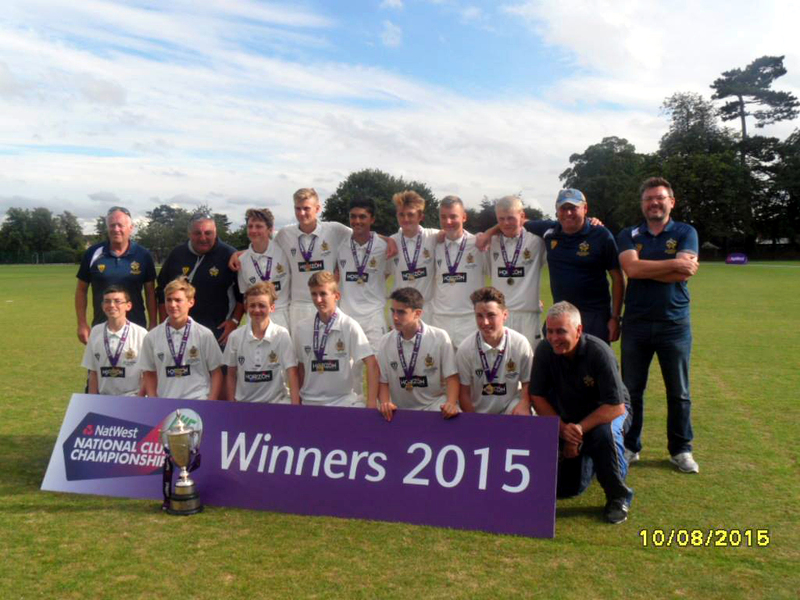 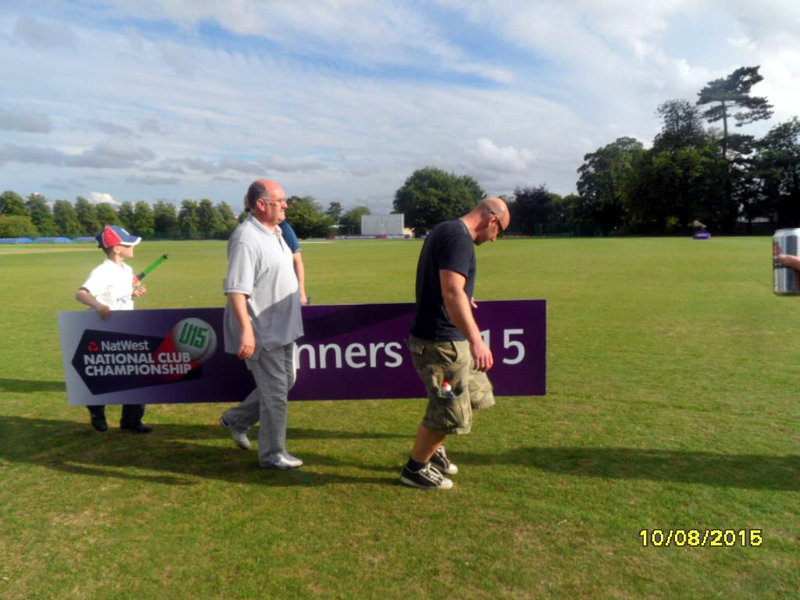 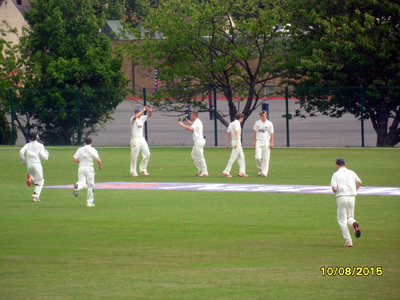 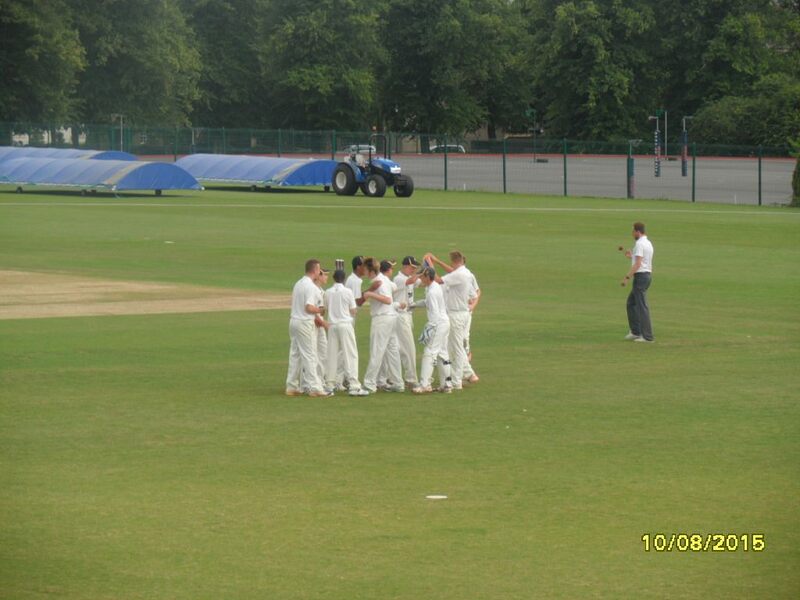 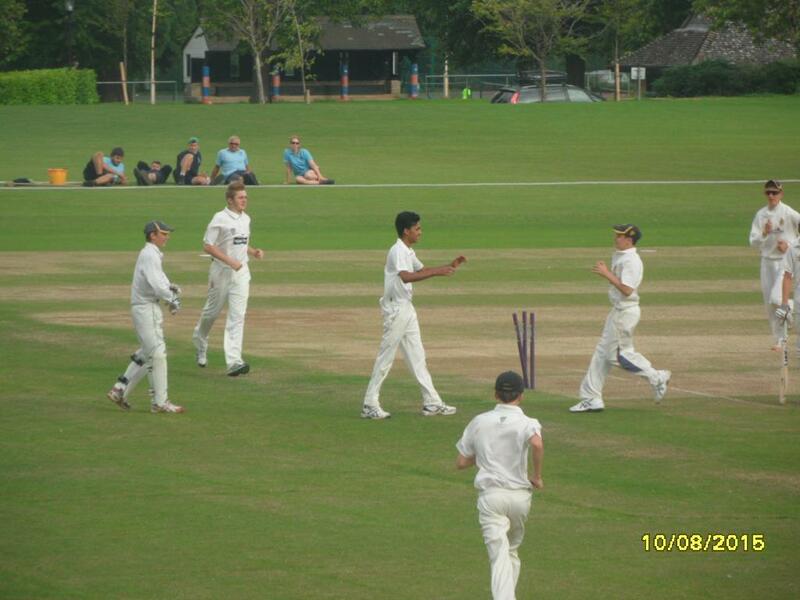 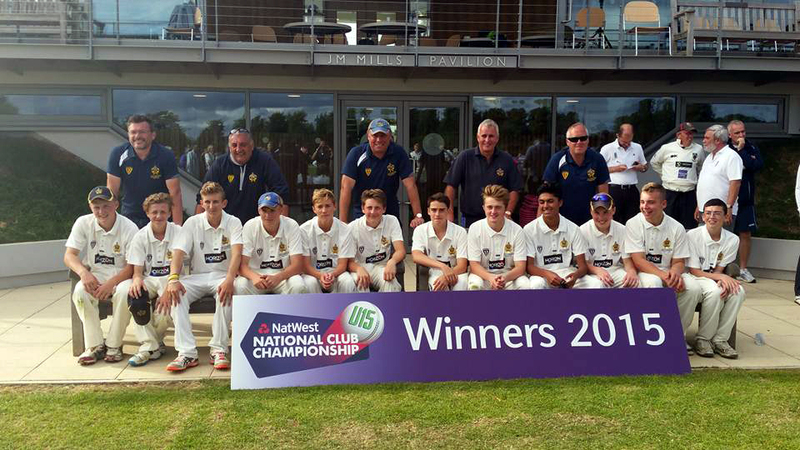 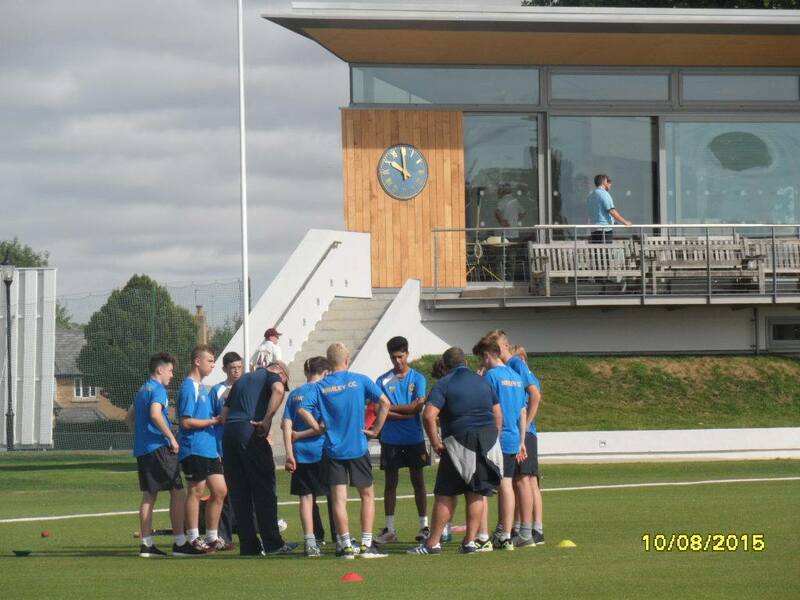 Himley Cricket Club's U15's became the NatWest National Club Champions on Monday 10th August 2015. Medals and the cup were presented by David Willey of Northampton CC with former England and Middlesex Captain Mike Gatting. The NatWest U15 National Club Championship 2015, saw over 1,600 teams taking part, across 40 different county competitions around the country. 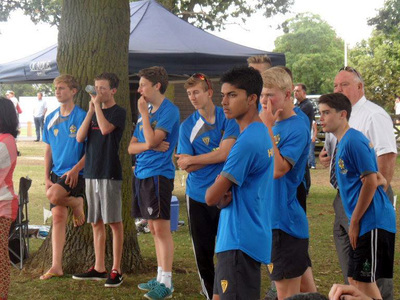 The winners of each of these county competitions progressed to the national stages of the competition and then the National Finals, played at Oundle School, Northampton. 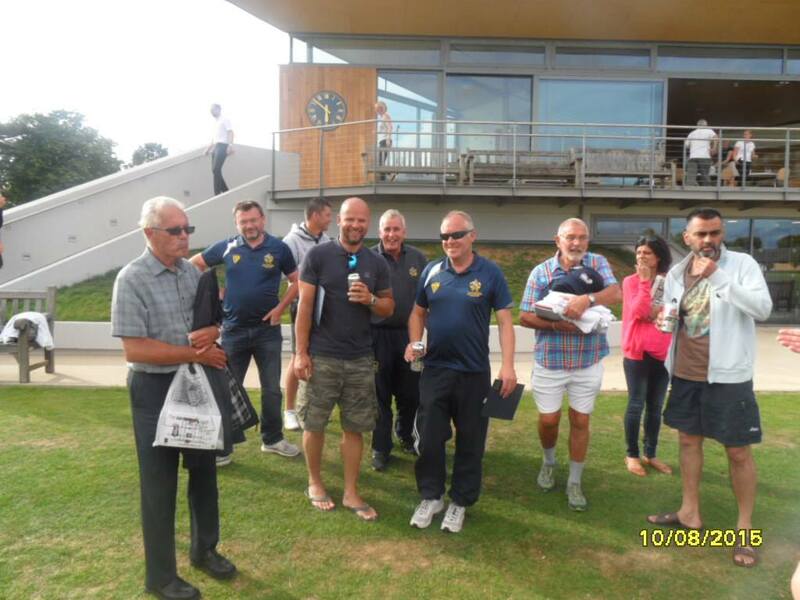 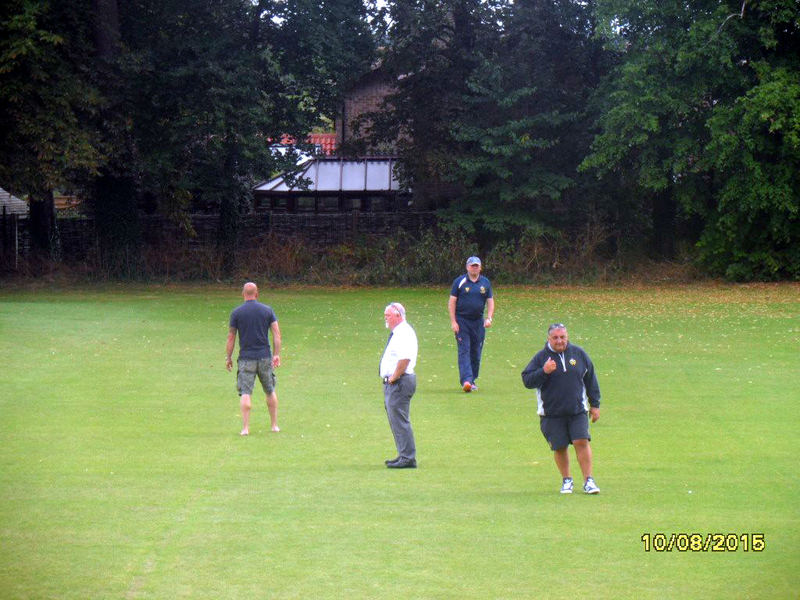 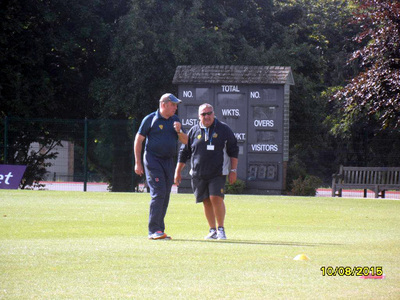 The draw for the morning semi-finals saw Himley CC take on South Wilts CC and Sutton CC take on Alderley Edge CC. 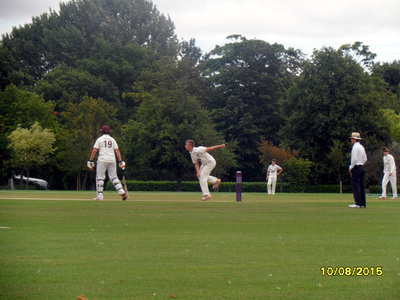 In the Semi-final Himley batted first, posting 125 all out of their 20 overs, Jordan Whitehouse top scoring with 52 (retired) supported by Chad Brandrick 29. 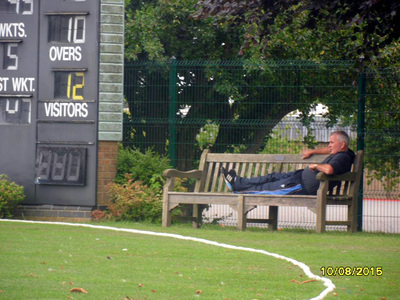 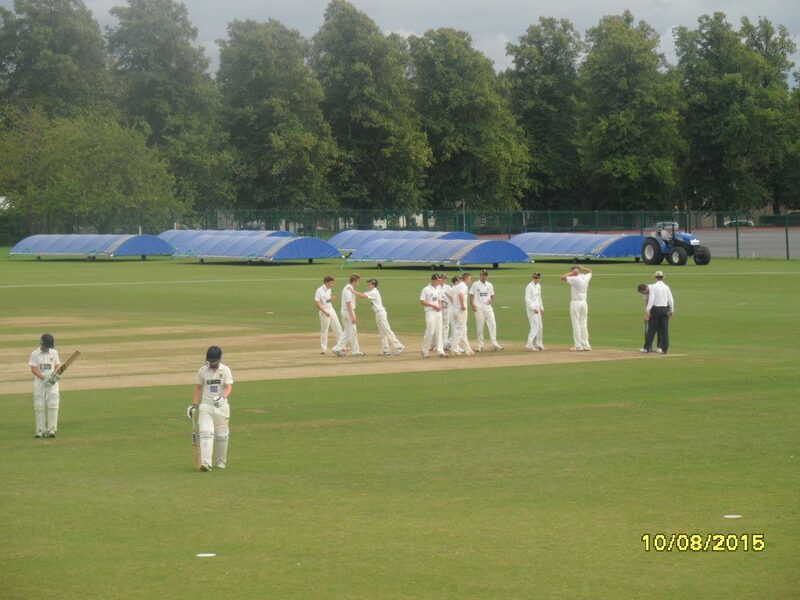 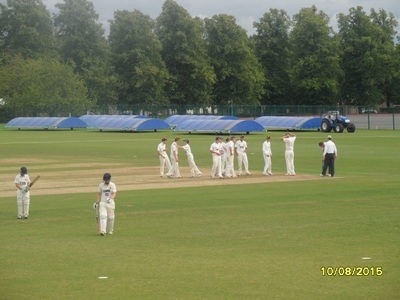 In reply South Wilts CC could only manage 70 all out in 17.1 overs. 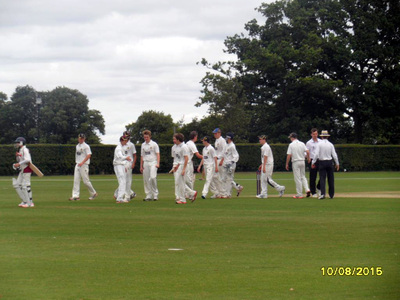 Himley fielded brilliantly with pick of the bowlers Callum Lea 4 overs - 3 for 12 runs, Adam Finch 4 overs - 2-19 and Tom Rhodes 1.1 overs - 2 for 7 runs (Scorecard). With Alderley Edge CC pipping Sutton CC by 2 runs in the other semi-final, saw Himley CC take on Alderley Edge CC in the final. 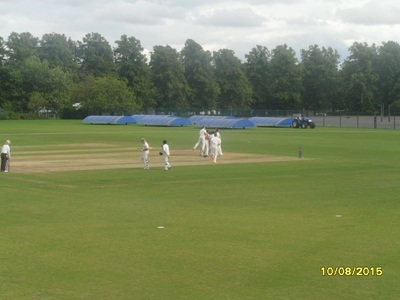 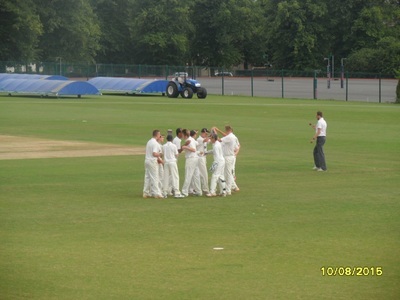 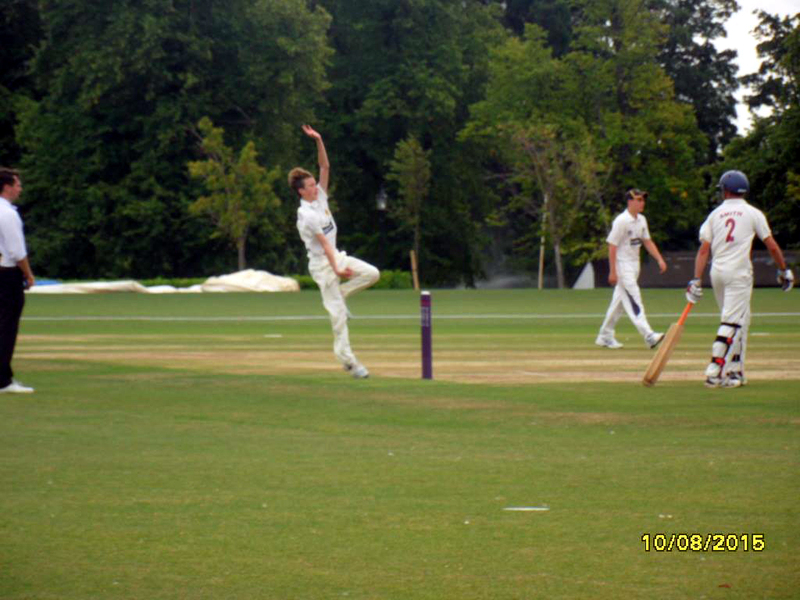 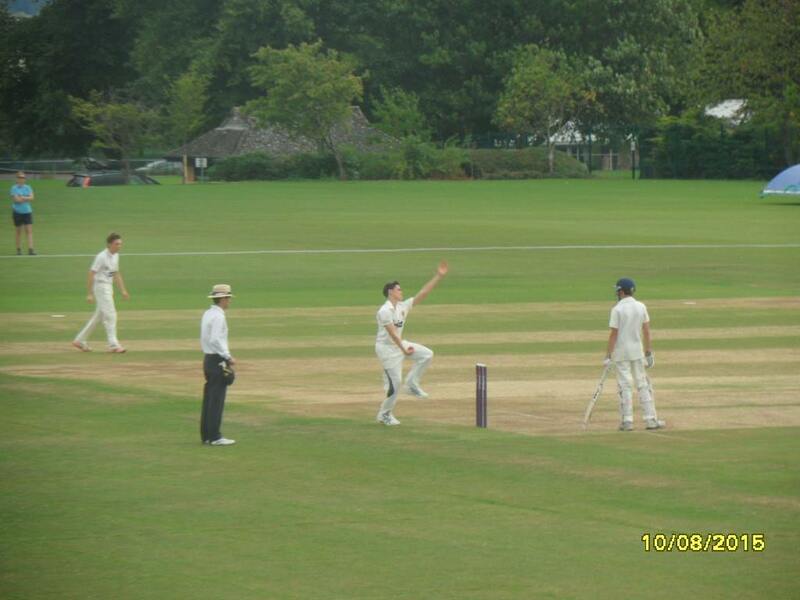 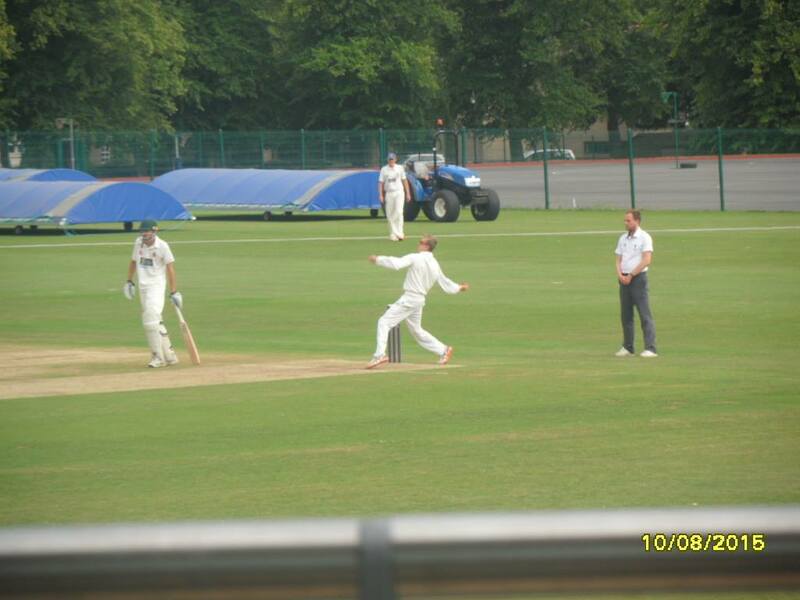 Himley batted first on a slow wicket and managed to grind out a score of 104 all out in their innings. 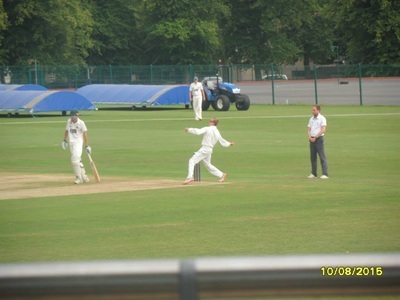 Callum Lea 50 (retired) and Kris Green 25 the main contributors with the bat. But it was Himley once again, brilliant in the field and with the ball, Christian Fellows bagging 4 for 9 off his 4 overs, supported by Chad Brandrick 3 for 27 and Callum Lea with 2 wickets putting Alderley edge in a spin. 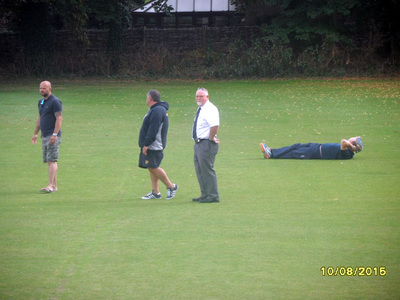 What do you think Gord? 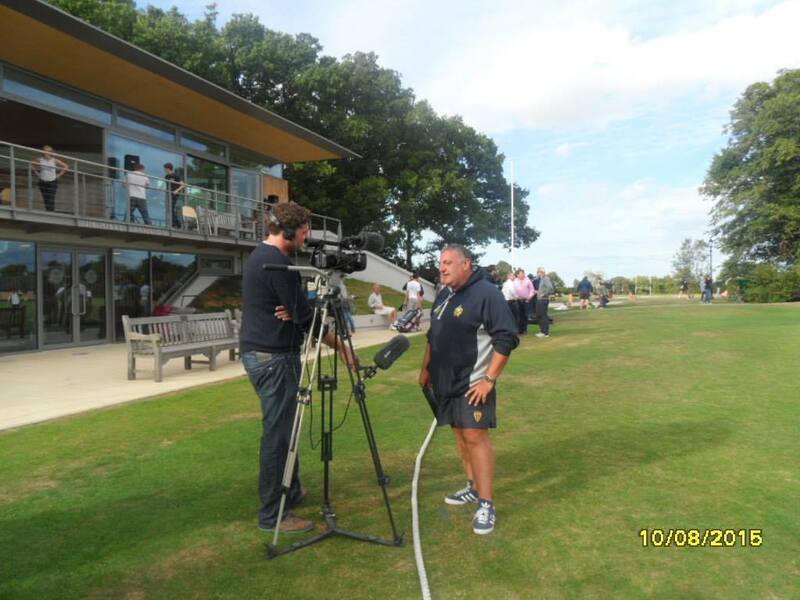 I wonder what is going through Mike Gattings mind on this one? 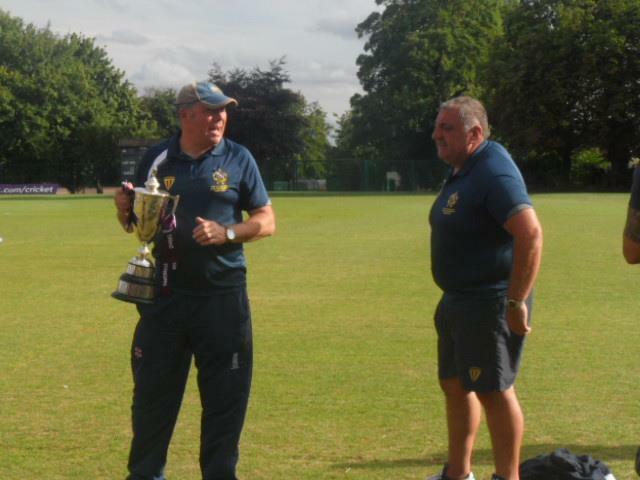 WE ARE NOT GOING WITHOUT THIS! 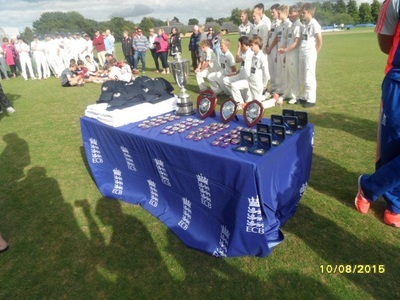 Many thanks to the parents, players & coaches for the photos and videos.